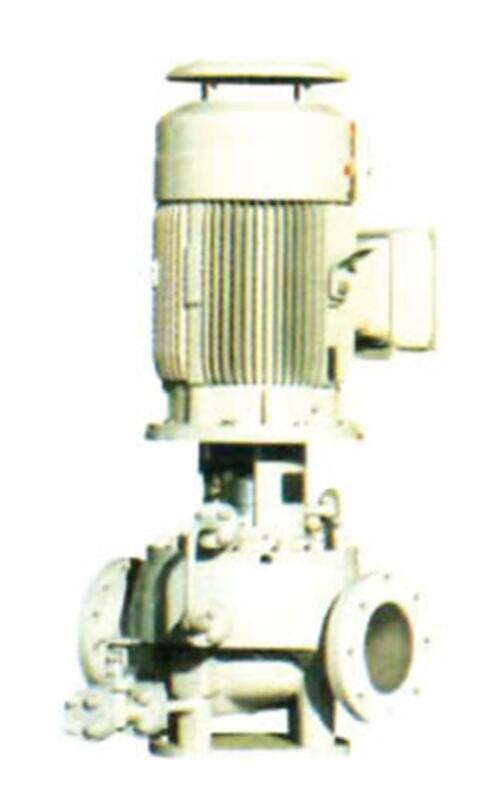 HDO, HDB (double suction, first stage) and HSO, HSB (single suction, first stage) are double casing, multi-stage pumps. 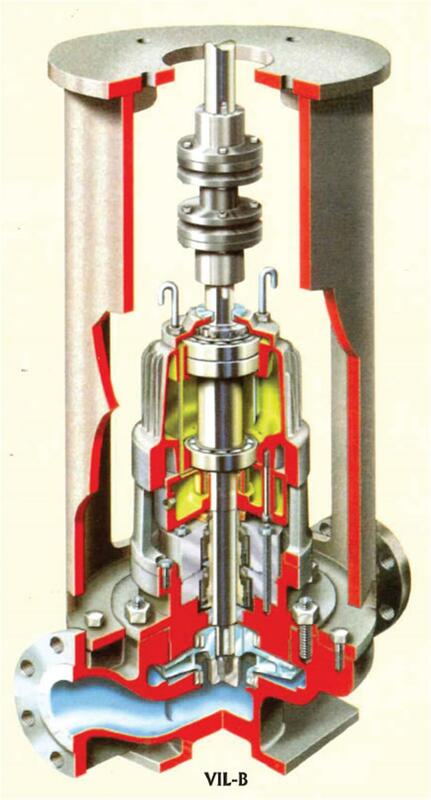 An outer barrel and cover with one radial high pressure sealing joint encloses an axially split inner volute casing. HDO an HSO pumps are fully compliant withAPI 610, 8th Edition for petroleum and petrochemical applications. Other options available to match field piping. 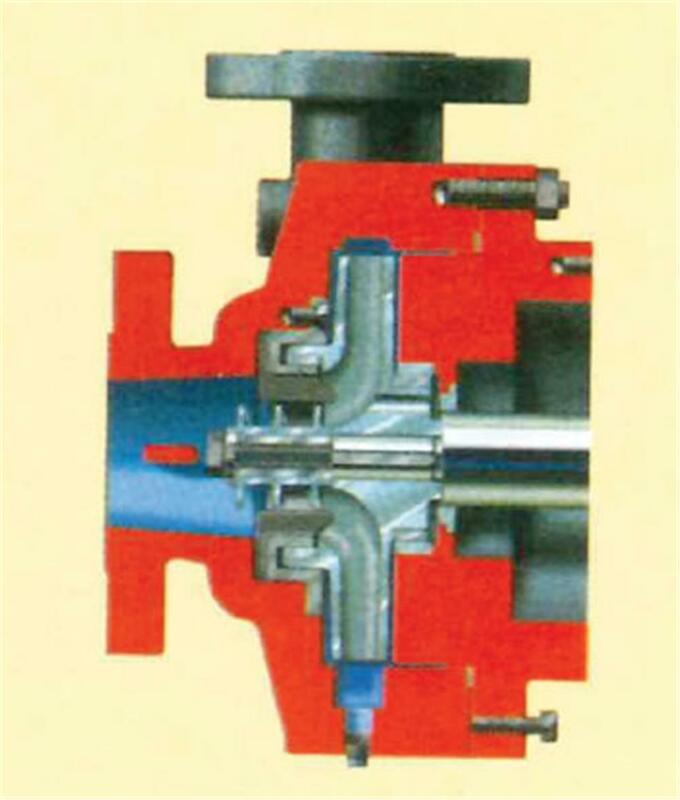 Optional Interstage Take-off provides high pressure liquid normally at 60% of pump total differential head. 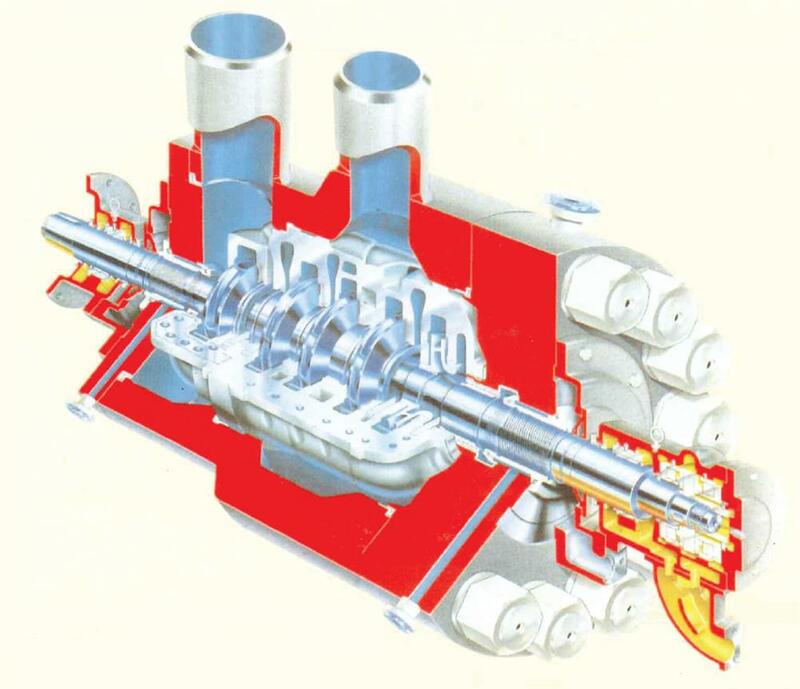 Primarily used for power plant steam reheat attemperation purposes. 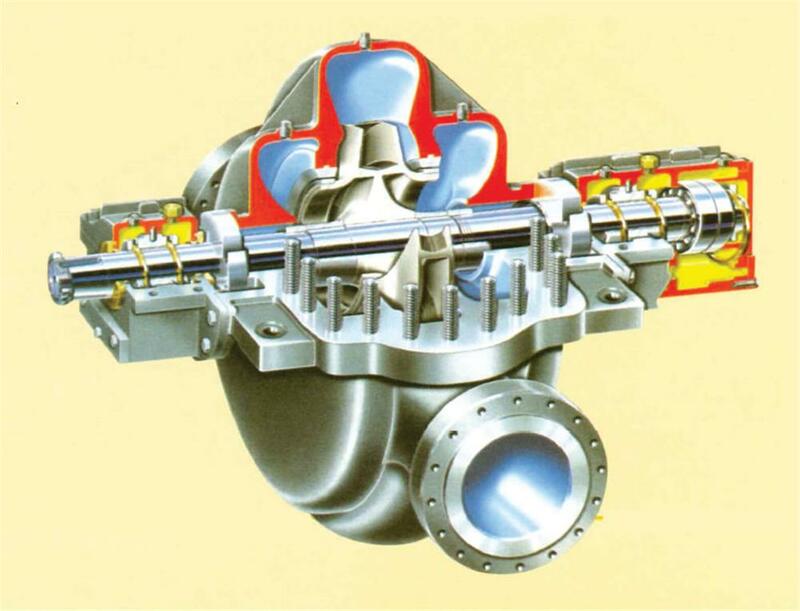 These are compact versions of the HDO, HSO, HDB and HSB pumps incorporate hydraulic innovations in impellar and volute casting designs. PHL pumps are an alternative design that uses multi-channel diffuser technology. Magnetic drive versions are availble (PHL-MAG). Diffusers changeable for new operating conditions API 682 Seal Chamber accommodates all combinations of seal models and styles, including external drive dual pressurized and unpressurized cartridge types for the most severe services. Deep groove radial and duplex thrust bearings for maximum bearing life. Special bearing arrangement available for high suction pressures. Oil mist and oil purge for continuous bearing lubrication. Fan cooling for high operating or high ambient temperatures. Removable water jacket to insulate radial bearing from process temperature. Cryogenic Design is available for temperatures to-250ºF(-157ºC). Vertical in-line products combine the best hydraulics and mechanical features. These in-line process pumps from APE are designed for simplified piping and space saving, with in-line suction and discharge nozzles. VIL - B pumps are fully compliant with API 610, 8th Edition. 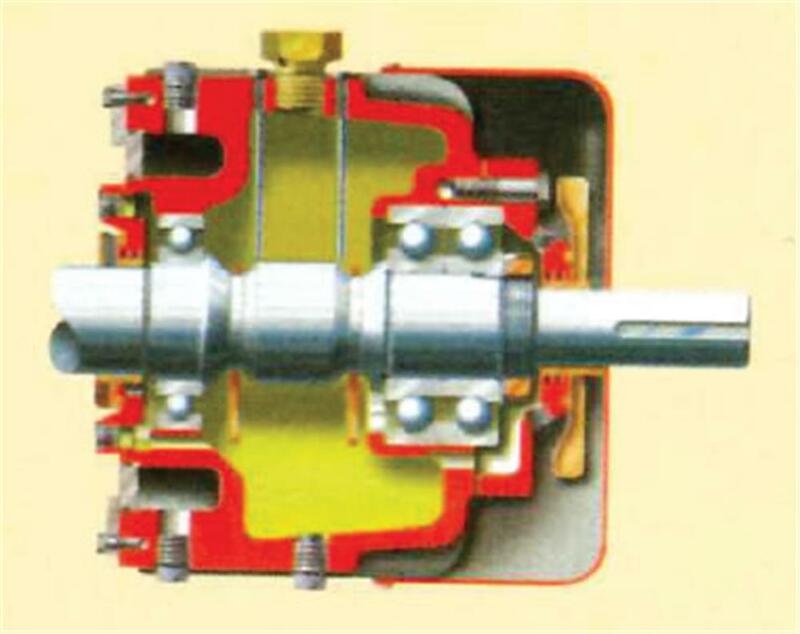 API 682 seal chamber is standard. Three bearing brackets for complete range maximize interchangeability. Recessed oil sump prevents residue from entering bearing. No baseplate or fixed foundation is required. 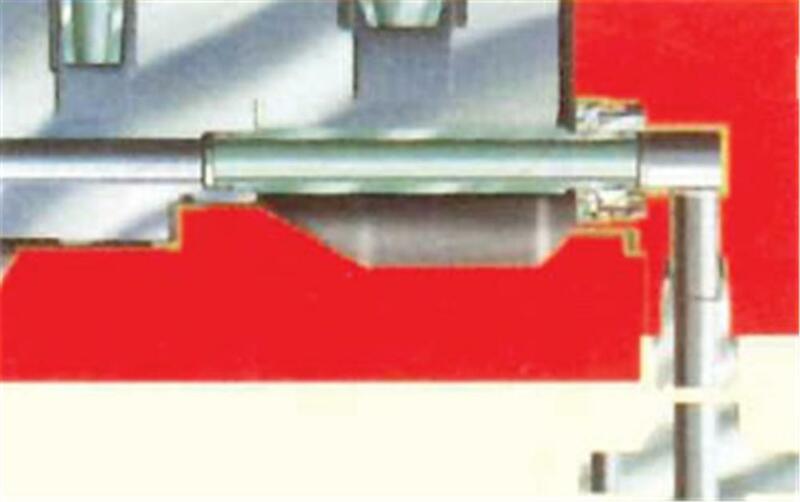 The unit can move with piping forces to reduce pipe stress. 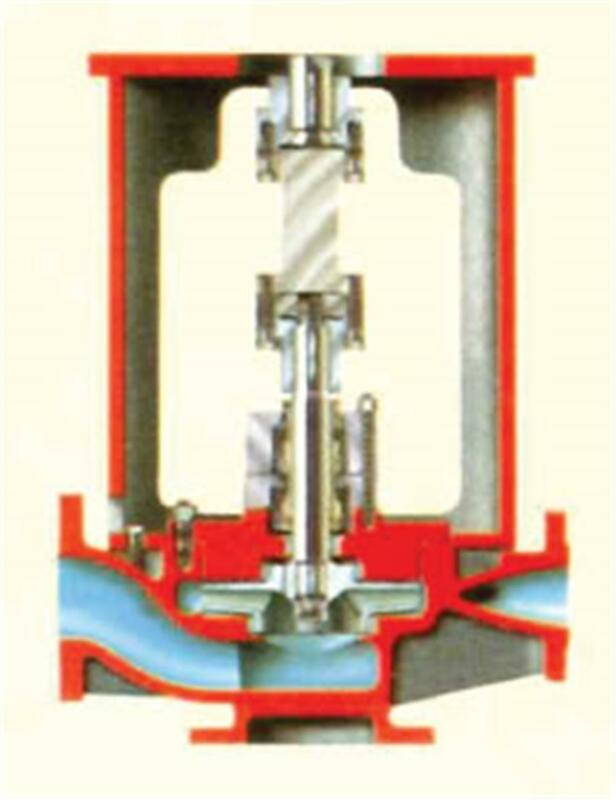 Finned bearing housing maximizes heat dissipation. Compact design with rigide 4-piece coupling allows seal removal without disturbing motor. PVML pumps feature a multi-channel diffuser design casing for fine tuning the best efficiency point to the requested duty point. They are also available in magnetic drive configurations (PVML-MAG). VILDS pumps feature a double suction in-line design for high flow, limited NPSHA, tank farm, transfer and pipeline booster services. 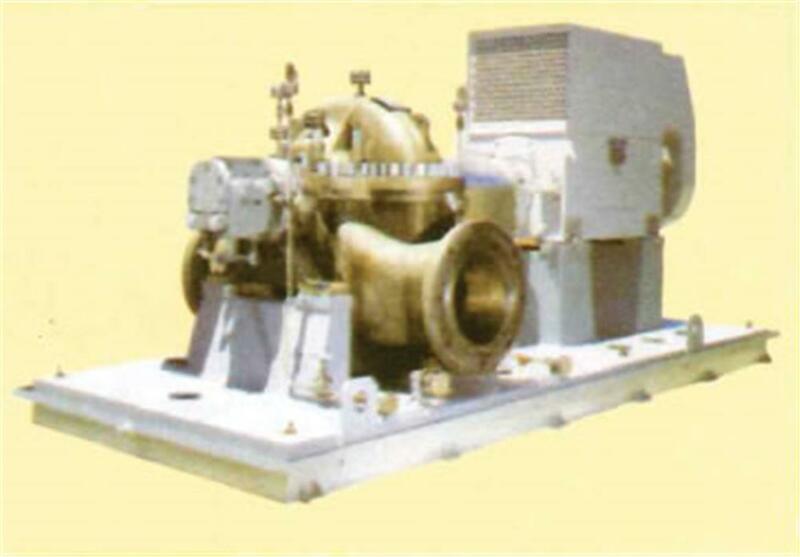 PVML Pumps meet API 610 and BS 4082 Class R requirement. 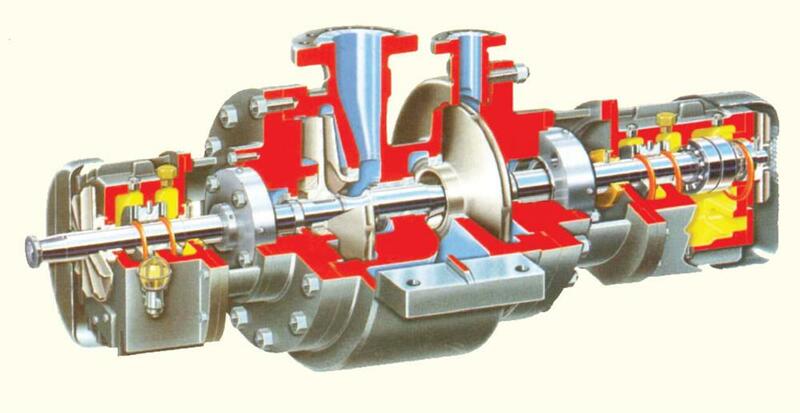 These horizontal, double suction, between bearing pumps are designed for use in critical services. 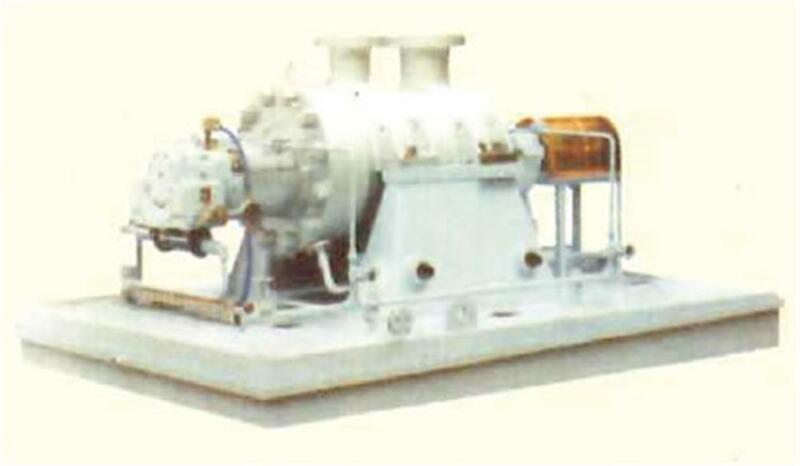 DSHF pumps are fully compliant with API 610, 8th Edition. Between bearing design to minimize deflection at mechanical seals. 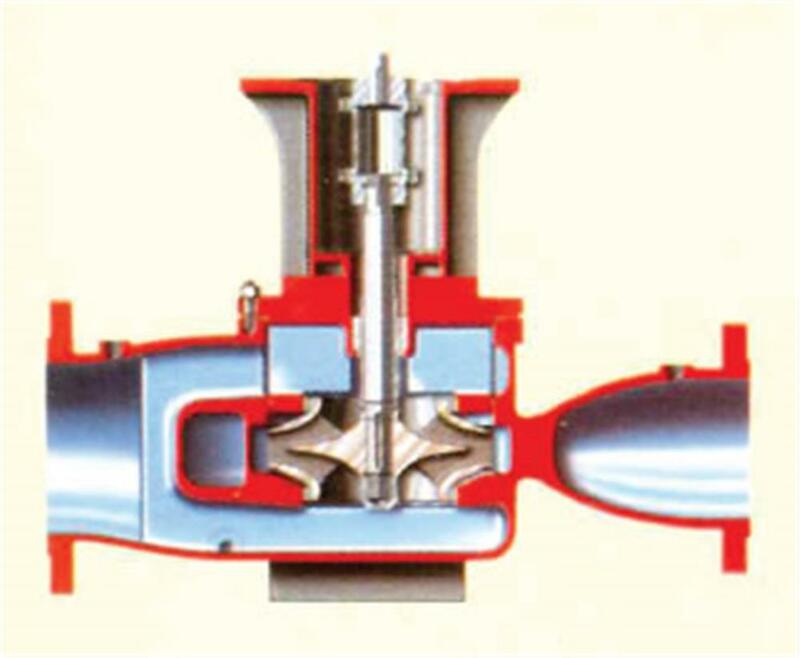 Double suction impeller for axial balance. Oil mist or oil purge bearing lubrication. Circular bearing housing mounting for maximum bearing support. 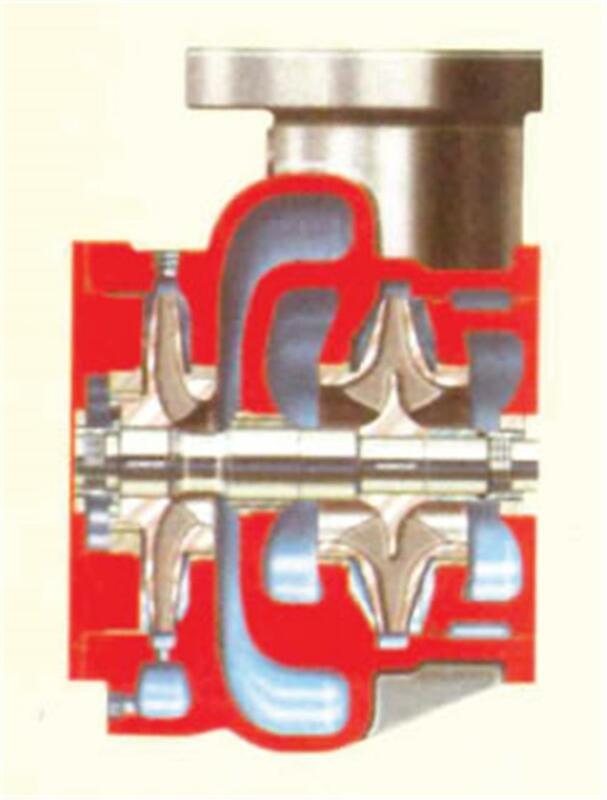 Finned bearing housings to maximize heat dissipation. Centerline support to maintain shaft alignment at elevated temperatures. TSHO - single suction first stage. 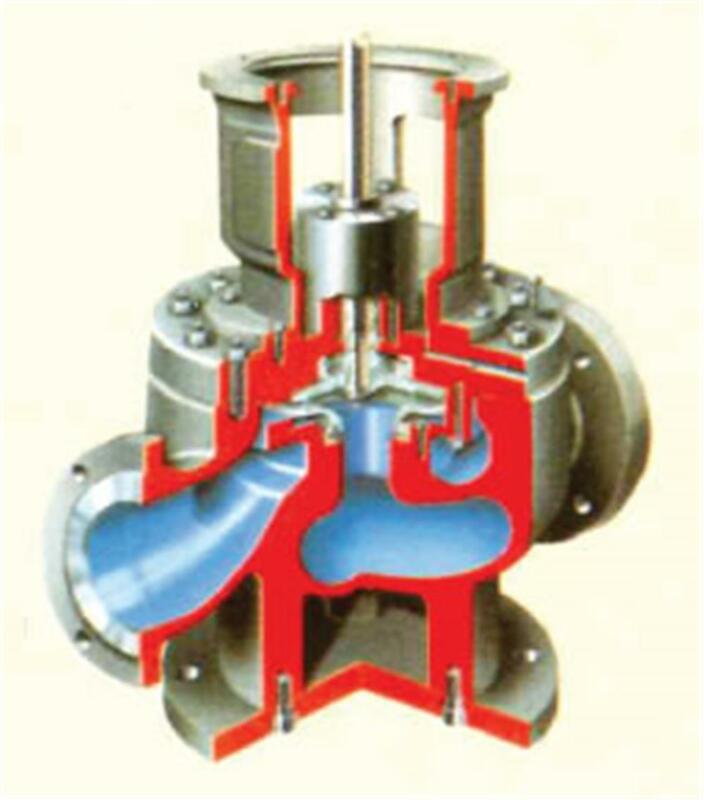 DSTHO and DSTHF - double suction first stage. These pumps are fully compliant with API 610, 8th Edition. 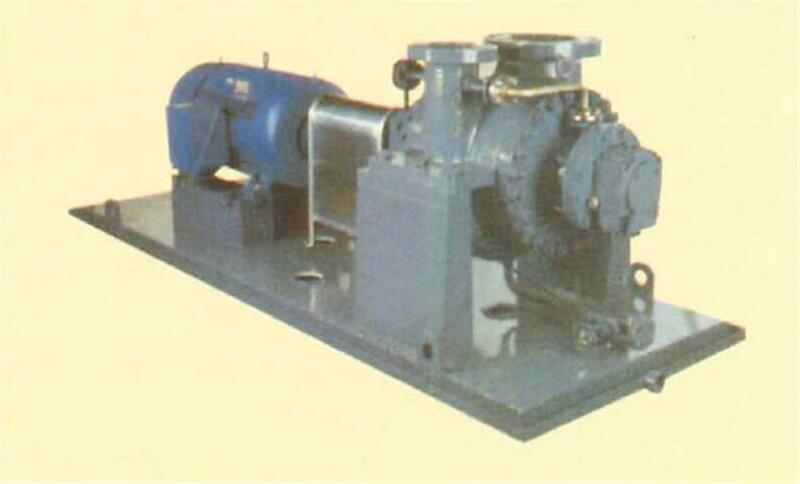 These axially split, double volute, double suction centrifugal pumps can be supplied for API 610 or general service requirements. DVS pumps are fully compliant with API 610, 8th Edition. 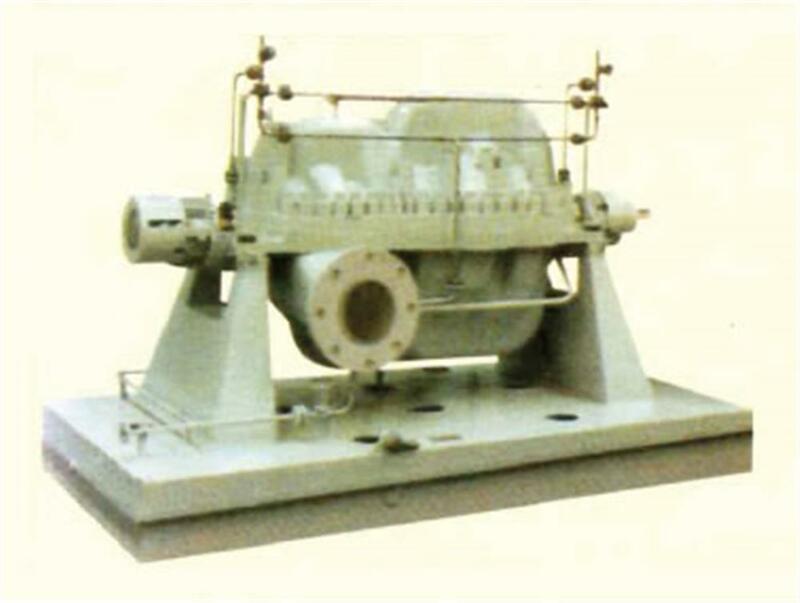 They are suitable for pipelines service and other heavy-duty applications. DV and HGT pumps are general service designs for distribution and other service water aplications. Axially split case for easy maintenance of internal components. Fan Cooled and Water Cooled Bearing Housings available for high temperature applications. MX, MSN and DVMX pumps are btween bearing, axially split, double volute case, side suction, side discharge, multi-stage designs. MX, MSN and DVMX pumps are fully compliant with API 610, 8the Edition. 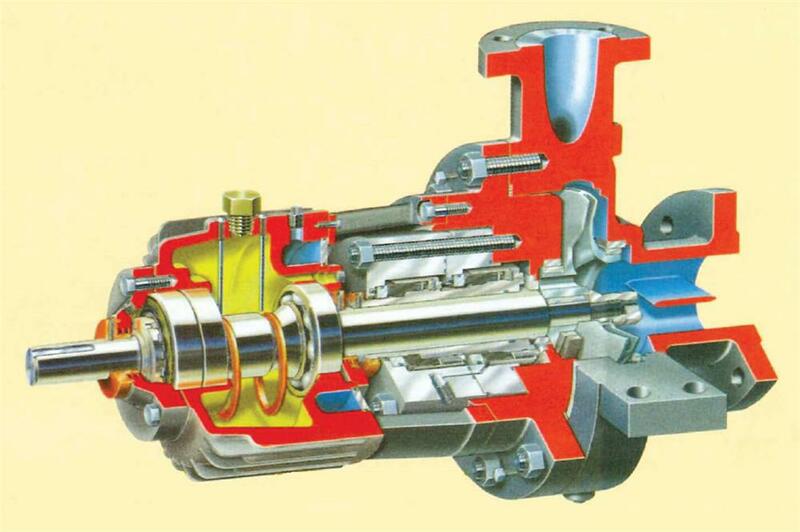 These pumps are designed for high pressure, heavy-duty applications. MX seven-stage with double suction first stage impeller, and sleeve radial and ball thrust bearings. "Sealed for life" bottom bearings with grease reservoir. 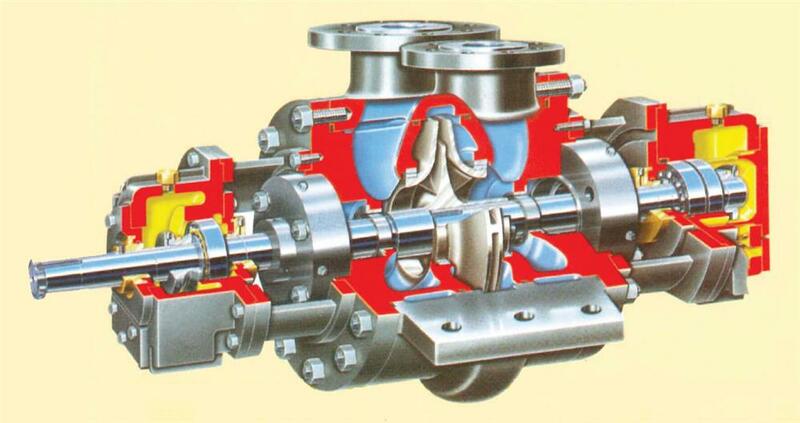 All versions are based on APE design, quality and consturction standards established for over 50 years, with thousands of pumps installed worldwide.